The mind-boggling miss wound up costing PSG the game, having to settle for a 2-2 draw against Strasbourg, which represents the first time this season the Parisian heavyweights gave up points at their home stadium. Substitute Thilo Kehrer headed in an 82nd-minute equaliser but Strasbourg spoiled the party plans in the French capital, picking up an unexpected point to keep the champions-elect waiting. 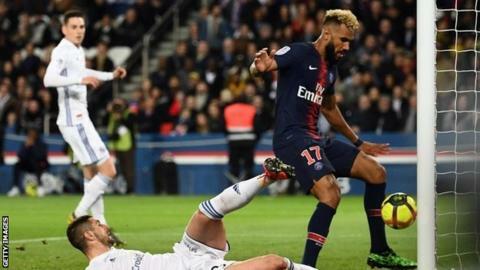 From the defenders coming behind him to the slow-rolling ball, Choupo-Moting's panic kept PSG off the board.